The cloth selection offered by Gino Tailor each season is, simply put, enviable. 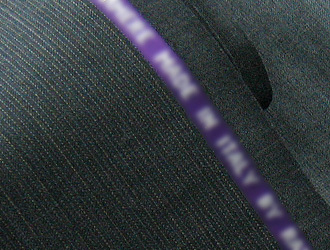 It is renown among the tailoring trade as the most sellable cloth line in the industry. Such a collection of the world�s finest fabrics is rivaled only by our exceptional tailoring values. Twice each year, an extensive swatch presentation is distributed in advance of the seasons to fashionable retailers and direct sellers of custom clothing. The spring & summer collection arrives in January, with the fall & winter collection available in July.